About the Clinician: Tyler McGill competed for the Auburn Tigers in college and went on to represent the U.S. at the 2009 and 2011 World Aquatic Championships as well as the 2012 Olympics. He brought home medals from each competition, many of them gold. 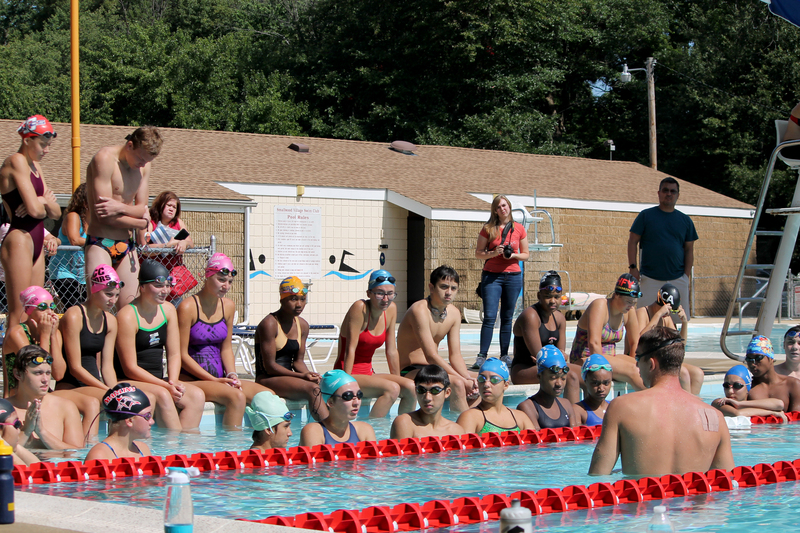 He has dedicated himself to coaching and teaching athletes of all ages with the Fitter and Faster Swim Tour. The beginning of this article is going to be interactive. So turn your brain on and pay very close attention. 1. Start by sitting down. You can be on the floor or in a chair, it won’t matter for this exercise. 2. Now, quickly, stand up. Go retrieve a piece of paper and a pencil. 3. Next, sit back down, find a writing surface, and write down the three or more of simplest things you do in your everyday life. Were any of these on your original list? Now if we were to ask you to do the same thing, but this time write down the three simplest things you do in swimming. Perhaps the number one answer would be STREAMLINE. It’s by no coincidence that this would be the first thing most swimmers would write down. From the very moment that we start to swim competitively, the value of streamline is engraved into our brain. But overtime, when so much emphasis is placed on “how hard we work” or making an interval at practice, or winning a race, somehow the “value of streamline” is diminished for the typical swimmer. We are here to tell you, in order for you to be successful, you must have a relentless pursuit of perfection when it comes to streamlining. 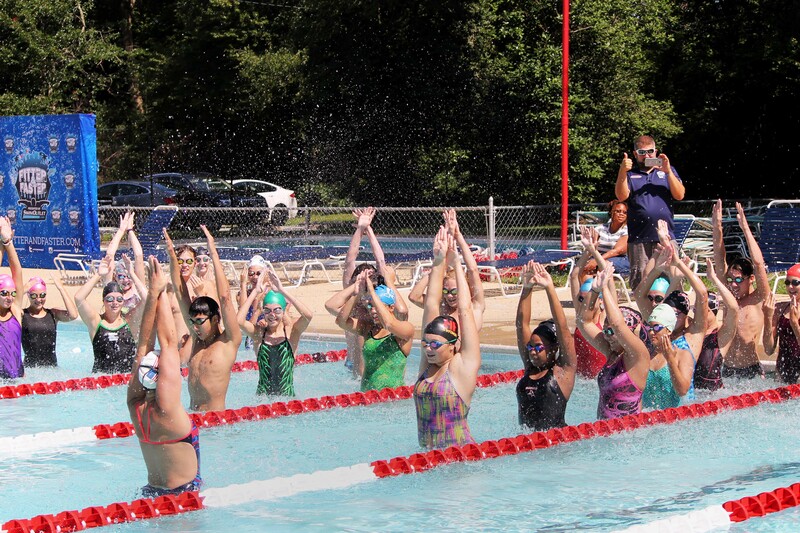 Streamlining is not just for beginners – streamlining is what the best in the world do best. As McGill reflects back on some of his first interactions in the pool with the late Richard Quick, he quickly realizes how much work he had to do to perfect that area of his swimming. One of the first drills he did was push off the wall and hold his streamline as long as he possibly could. McGill would do his on his stomach, back, right and left side. Inevitably, the first few times he tried to hold his streamline, his body would twist and torque. His feet and legs would sink. His core would get tired and sag. His arms would get tired and break streamline. He would push off too deep or too shallow. Time and time again he would fail to hold his line! McGill remembers thinking how silly it was to be doing something so elementary and simple. He wanted to work hard and gut out another tough set. Over time, the more McGill valued his streamline, the more he realized how well a proper streamline leveled the playing field. Have you ever watched a football player try to race a swimmer? The taller, stronger, more powerful athlete quickly becomes average when swimming against a streamlined athlete. The problem with swimming is that there are no hard consequences for doing a poor streamline. For example, if a football player tackles incorrectly, they can suffer some serious damages. Or, if a diver leaps from the ten meter platform, spins and flips through the air, but then forgets how to enter the water, they will be in a lot of pain. In swimming, your body will not be crushed to pieces if you don’t streamline. The only thing you will suffer is the crushing feeling that comes with a bad practice or bad race. Ultimately, a proper streamline can propel you to consistent success. So what can you do to improve your streamline? Ask your coach what your streamline or line looks like in the middle of a hard set. Streamlining can be easy when the work is easy. But the last 25 of any race is not easy. At the end of a race when your body is under a lot of stress your practice habits will take over. Poor habits leads to poor execution at the end of a race. Watch video of your races and observe what you look like coming off the wall. 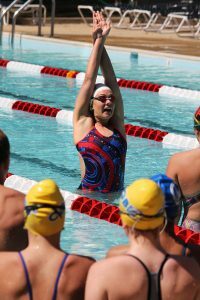 Streamlining isn’t isolated from just your shoulders to fingertips. Streamline is all about “line”. Do you have any breaks in your posture when you push off the wall? How deep are you diving or pushing? Is your head tucked to your chest or in line with your spine? These are all questions you should be asking yourself as you watch your body position coming off the wall. Body position is another area that falls into streamline. We often think that streamlining is confined to what you look like when you push off the wall. But expand on that through process. Look at your body position and posture while you are swimming. You can ask yourself the same questions about head position, whether there is an arch in your back, or if you are sticking your ribs out. Swimming is dominantly done in front of your body and over your head. Yes, a typical swimmer has a big strong back and broad shoulders. But does your range of flexibility in your back hurt your ability to streamline. Swimming tends to cause your shoulders to “roll in”. Are you doing any exercises to help pull your shoulders back? Not only will you improve your streamline but you will also protect yourself from injury. Also, what are you doing to strengthen your core? Body planks are a great way to strengthen your shoulders and core. And “dead bugs” are another great way to bring awareness to what your core is doing while moving your arms and legs. Thousands of crunches are not always the best option. Finally, are you actively learning from the best examples available? Like I said earlier, streamlining and body line is what the best in the world do best. They have taken a simple skill and perfected it. There are thousands of videos available online for you to watch. But sometimes you need to see the skills necessary to swim fast up close and in person. 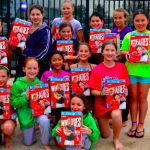 Clinics and videos run by elite level athletes are a great way for you to pick up on the “little things” that the world’s best say about what they’re doing or feeling in the water. No matter your age and ability level, being in relentless pursuit of the perfect streamline is the best way to improve your swim results.